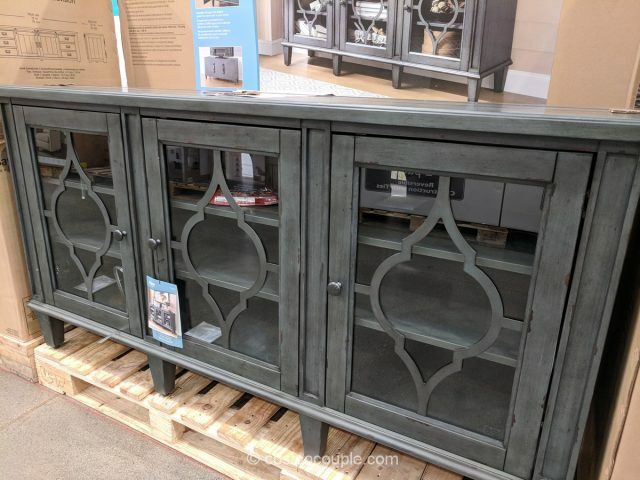 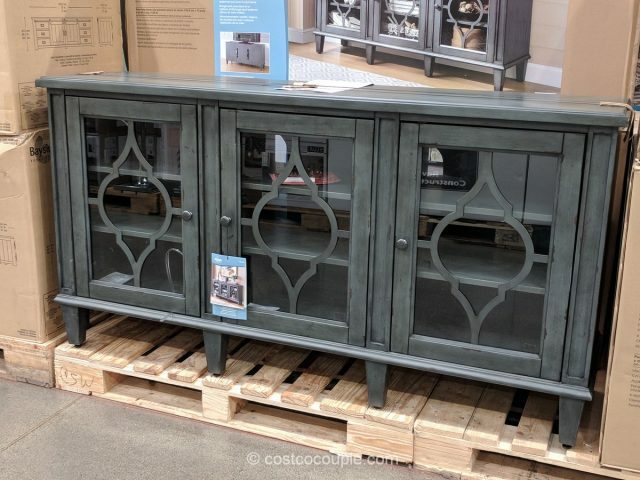 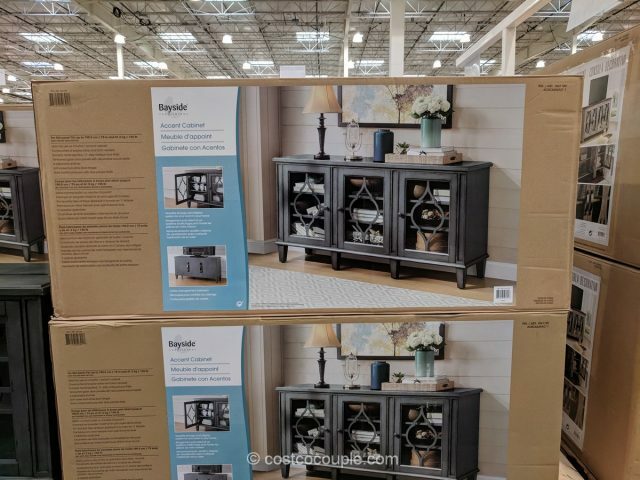 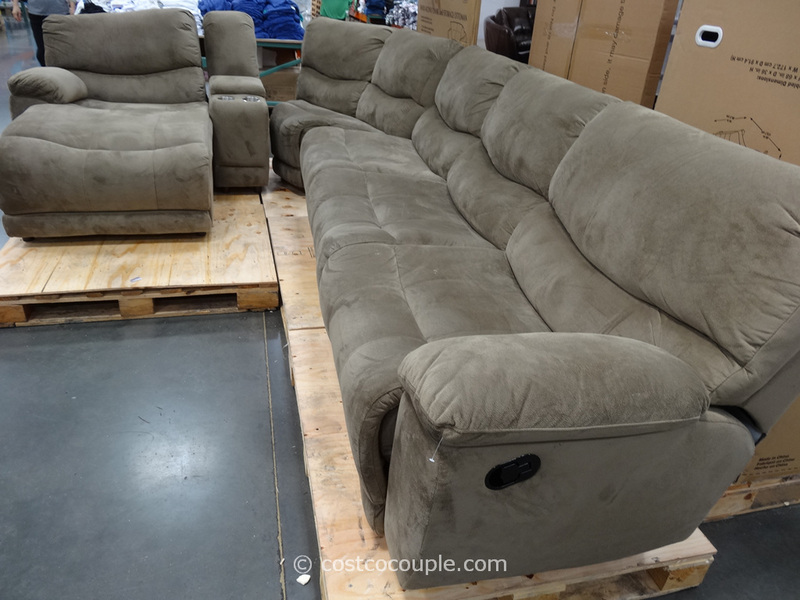 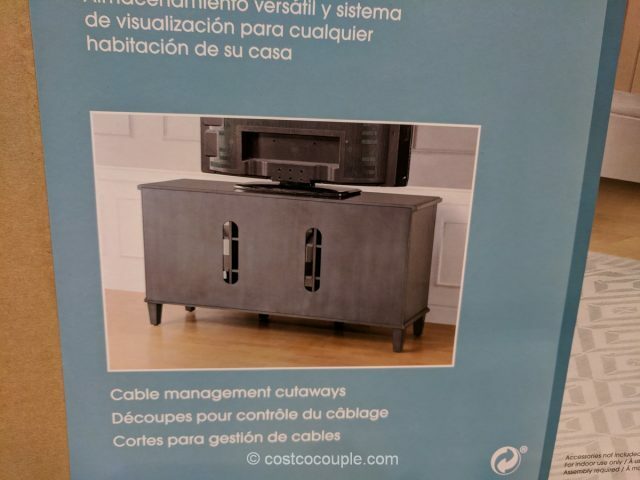 The Bayside Furnishings Accent Cabinet has a unique blue/gray color and is suitable as a TV stand for flat panels up to 75″ and 135 lbs. 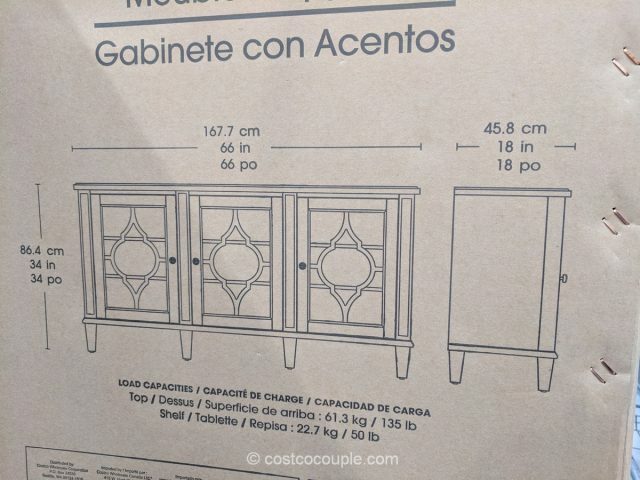 The cabinet is constructed of poplar solids and birch veneers. 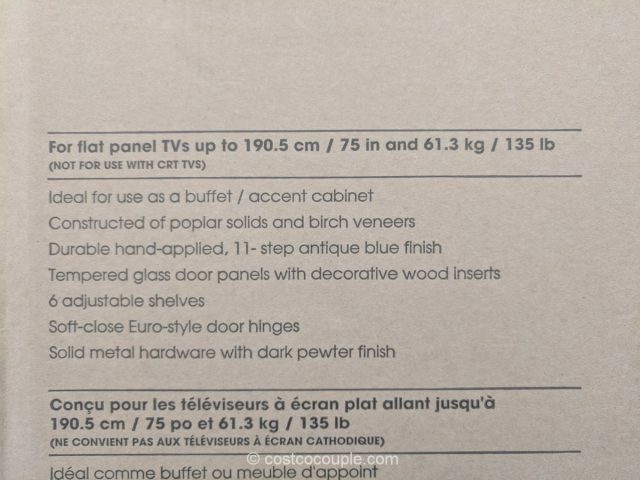 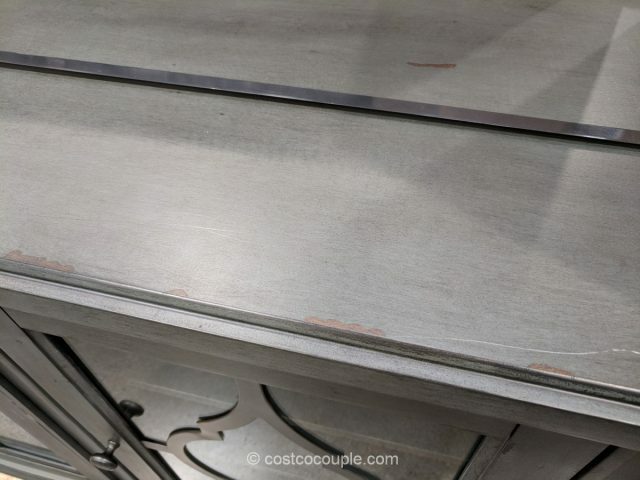 It has a hand-applied, 11-step antique blue finish. 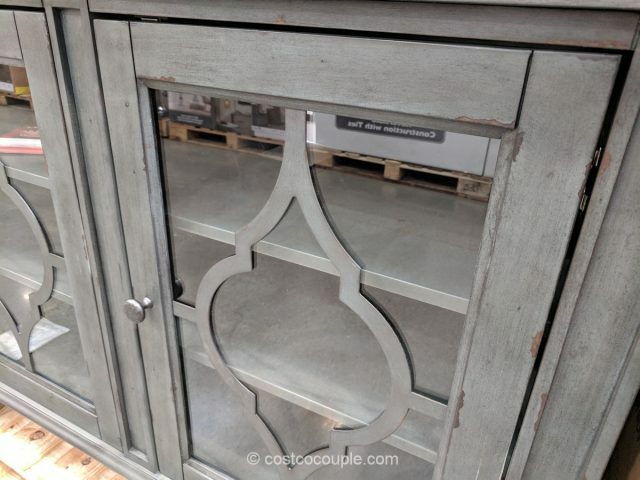 The tempered glass door panels have decorative wood inserts and soft-close Euro-style door hinges. 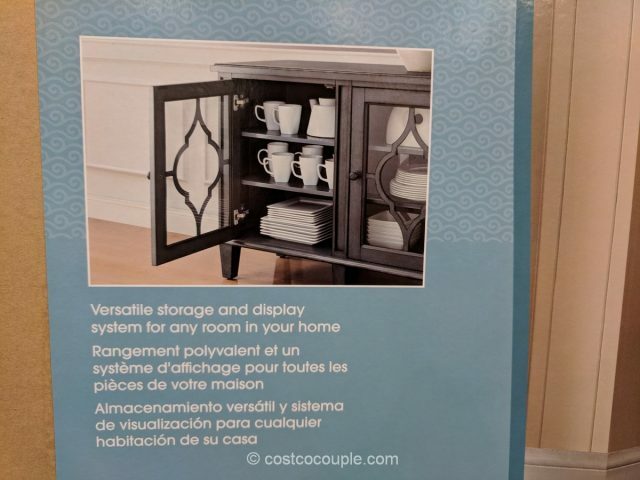 There are 6 adjustable shelves for versatile storage and display. 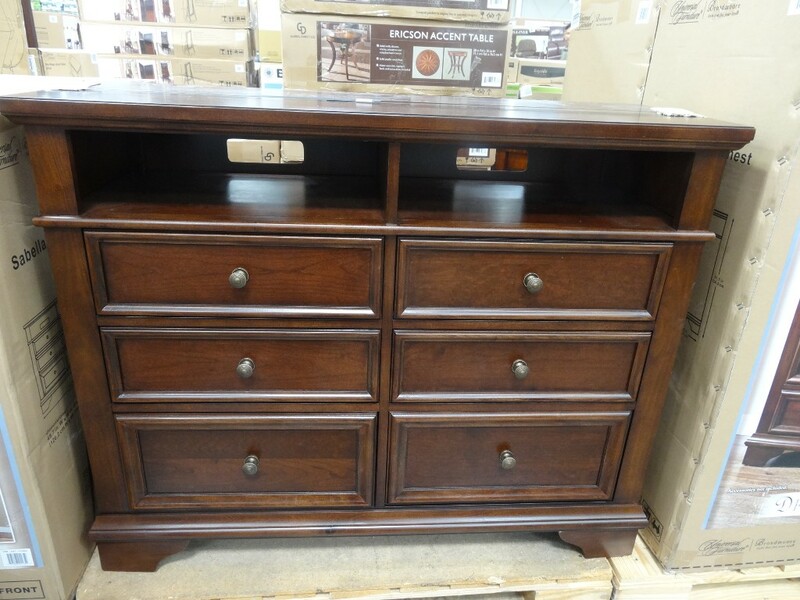 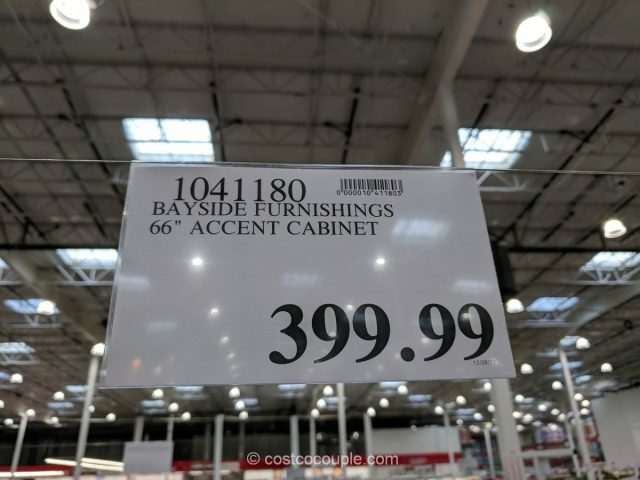 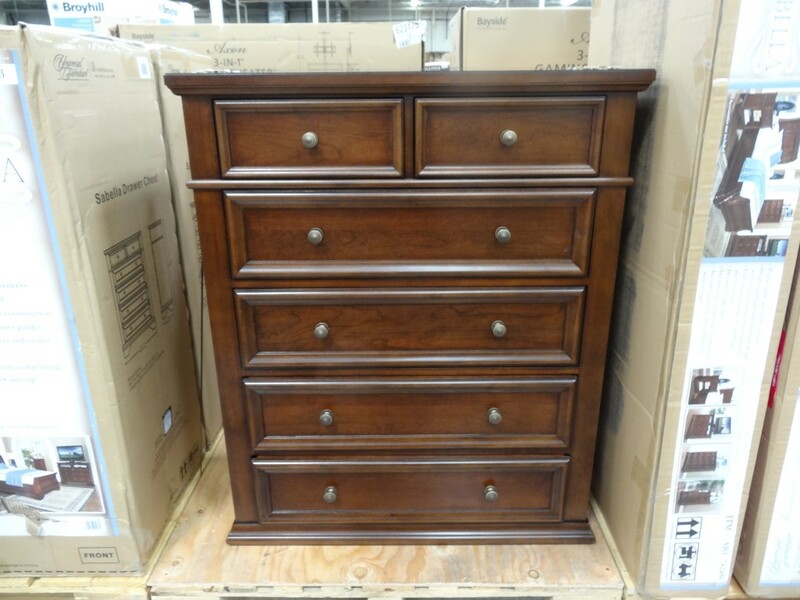 The Bayside Furnishings Accent Cabinet is priced at $399.99.